Hand Crafted & Hand Made in the UK. Our on-line price only £56.99. Lyle’s Golden Syrup Tin Novelty Teapot. This Lyle’s Golden Syrup Tin Novelty Teapot. Hand crafted. Then hand decorated. 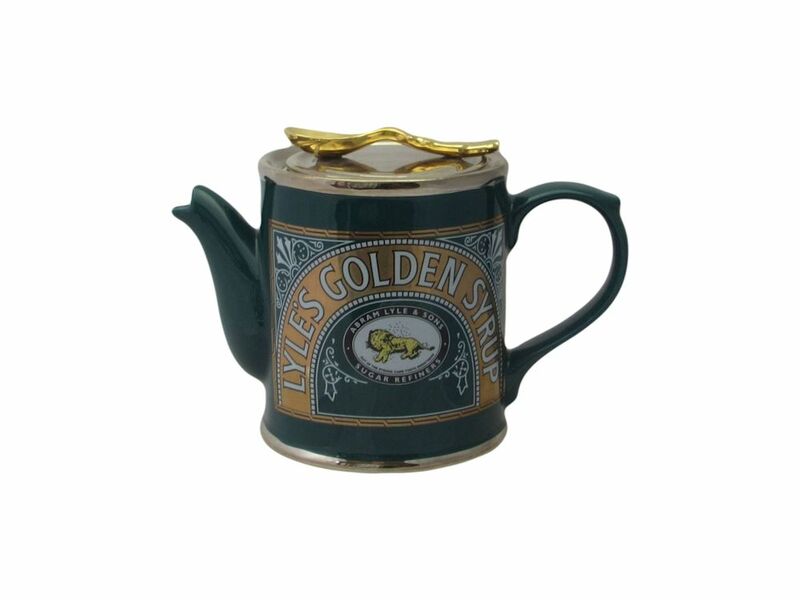 A novelty teapot modelled on the famous Lyle’s Golden Syrup Tin. Meanwhile the lid of the teapot has a spoon. Which is painted with a gold glaze. Attention to detail has been important in the design of this teapot. Matching the style of the logo. And the colour of the tin. Achieving a genuine look. Our novelty teapots make great gifts for any occasion. Christmas or Birthday Presents. Mother’s or Father’s Day Gifts. Or even a wedding anniversary gift. Then of course, Retirement Gifts. Dimensions. Length 18cm. Height 12cm. 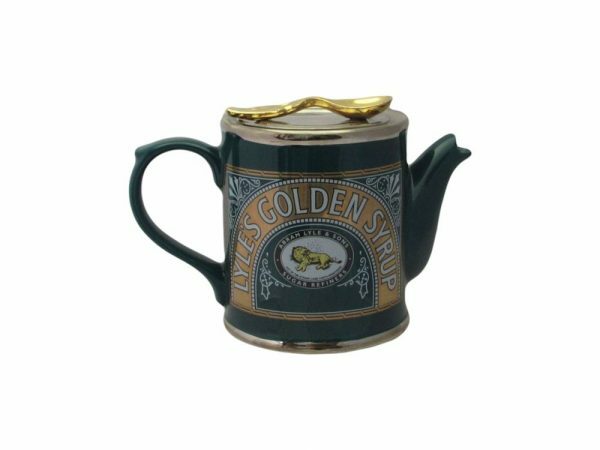 Save money by buying this Lyle’s Golden Syrup Tin Novelty Teapot online. This Quick Ink Novelty Teapot. Just one of the many hand made hand decorated teapots in stock. Click Novelty Teapots to view current stock available.